Not all promotional items are geared toward consumers – the marketing tools can also be used to find new employees. In 2011, the Advertising Specialty Institute (ASI) conducted a survey on how businesses market positive images to job seekers. The poll, which surveyed human resources professionals, revealed that 56 percent of respondents said that giveaways are distributed to create associations between companies and candidates. As with advertising sales, owners and managers must take careful steps when using marketing products during recruitment periods. Below are four techniques establishments should consider when choosing promotional gifts for prospective workers. The ASI writes that businesses are using giveaways to stand out. An increasing number of businesses are hiring and adding jobs, which means the field of candidates is shrinking. As with consumer promotions, recruitment items must be memorable to positively impact hiring. Every item should be colorful and attention-grabbing. Your logo should be larger than it usually is on consumer giveaways. Keep in mind that when people look for work, they usually want to start quickly. You must make your brand especially visible so the best candidates cannot forget about your company. It’s easier to hand out promotional products to consumers than recruits. For example, store owners can distribute small gifts to everyone while checking out, but hiring managers can’t give their marketing tools away to just anyone. There are three key times employers can give away promotional products – at job fairs, during walk-in visits and in interviews. Job fairs are excellent opportunities for companies to reach candidates. Convention attendees want new work, and they’ll meet with recruiters who represent many different businesses. Establishments that distribute unique promotional products to every inquiring worker have better chances of sticking in prospective employees’ minds. 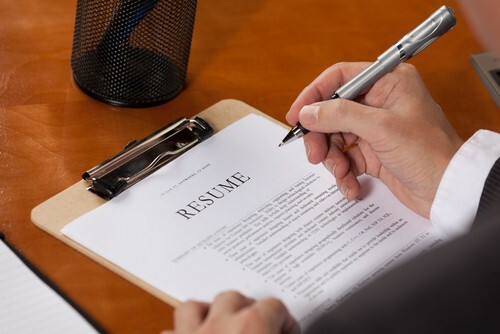 Even though some applicants submit their resumes digitally, others still fill out applications in person. If your business attracts walk-ins, you should consider giving each candidate a branded pen. The gift will be used to fill out any forms and then will be taken home for future use. Job interviews aren’t just opportunities for you to find the best candidates, as prospective employees also judge your company based on those initial meetings. Giving away promotional notepads so interviewees can take notes quickly shows that you’re interested in helping candidates decide if they’d accept positions within your organization. Additionally, if the giveaway is brought to other interviews, you’ll be marketing your business during those conferences as well. Because the promotional tools are for employee recruitment, businesses may be best served by ensuring that every gift could be used in a professional environment. Distributing items that don’t have business applications may send job seekers the wrong message. The ASI’s poll found that 55 percent of companies that give away products use pens for marketing purposes. A writing utensil is an all-purpose gift that anyone can use. Applicants are more likely to appreciate practical gifts like pens because the products are everyday necessities. Other giveaways, like promotional wall calendars and USB drives, are also popular because not every business distributes those goods. No company has unlimited funds, and every department has to carefully allocate their capital for every action. Promotional products can be a helpful part of a recruitment campaign, but the items should be considered supplements that raise brand awareness. If you spend too much on one series of giveaways, you may be hamstringing your long-term plans. Leave enough money for new marketing strategies in case your first set of promotional items needs improvement.